I am an old historical gamer (well, hopefully not that old) but new to the area covered in the BFaS rules. I prefer to paint my figures accurately so I am seeking advice/recommendations for books on uniform guides for armies of the period. I've ordered a Polish/Lithuanian force and Muscuvite force to start off with so they are my priority but any help would be appreciated. I will use the BFaS rules book and painted armies posted online until then but its nice to have historical references (with color pictures) as well. Thanks for any and all help in advance. Problem is, that these armies rarely have uniforms. 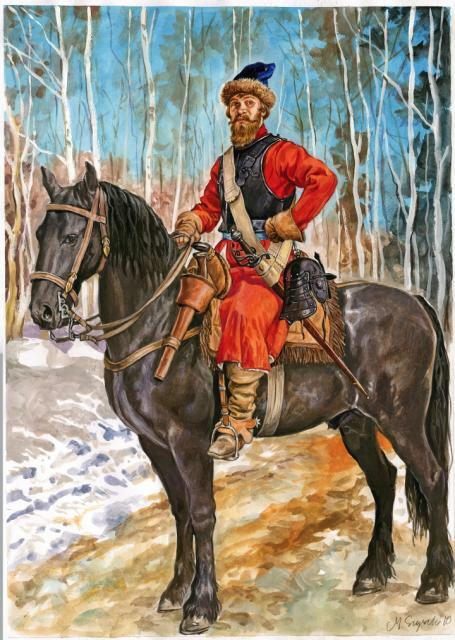 Certain colours could be often used for majority of infantry units (like blue and red in P/L infantry and dragoons, grey in all sort of infantry for almost all armies) but cavalrymen had their own clothes, so each men looks different. At least some of the Muscovite infantry (e.g. streltsi) had rather colorful uniforms. I find this series of articles from Airfix Magazine (also published as a book) quite helpful. Also, there are of course the ubiquitous Ospreys, provided you realize the color plates are just artist's impressions and concentrate on the text instead. I'm sure someone will claim every single available source in English is wrong, but that is IMHO not very helpful (one bad source is better than none, as it enables you to put painted figures on the table). I like the pictures of the streltsy at Kolomenskoye. It shows them all wearing a red jacket, but all other parts of their kit is almost random. As if only the coat was uniform. Is that something that was the case with streltsy? Yes, and different regiments wore different colours. Some recreations also show them wearing fur hats of the same colour. I wonder if Muscovite Reiters, Soldats and perhaps even Field Dragoons also wore regimental colours? My approach was sort of similar to callan's: I painted my streltsy in red uniforms (I bet that's quite accurate) but boyars are random mix. Wrt reiters also mixed - even though it was 'new pattern' formation. Gentlemen, Thank you all for your insight and suggestions. I watched the 1999 film, With Fire and Sword (with English subtitles) last week on Youtube for another "reference" and it mirrors some of the comments presented here, even if its just a movie. I will also have to agree that for an historical gamer like myself, given the unfamiliar names of the various units some consistency in uniform colors is a necessity in order to keep track of the troops on the table. If anyone comes across additional information or pictures worth posting please don't hesitate to add to the comments already posted here and I will certainly do the same. This is one area of history that we need to be mutually supportive of each. Thanks again and have fun gaming. Also i attached a picture with Streltsy uniforms. With all due respect to all the effort that reeco guys put in their work, I would be very cautious to use them as an example for painting. Kadrinazi is right. Especially with reenactors you should be careful. 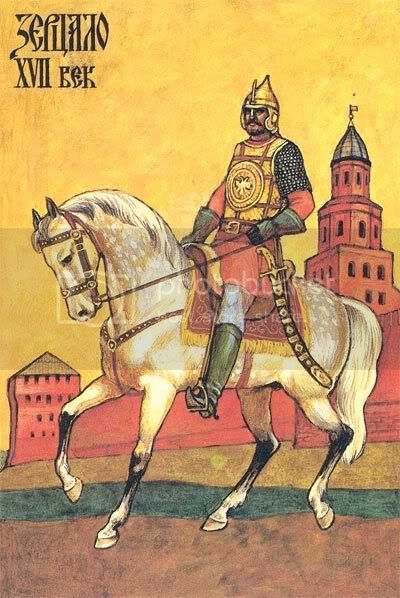 For example the majority of people who reconstruct Winged Hussars wear red clothes. Only a few i have seen in blue and green clothes. In reality each Hussar was an individual withhis own style of clothing. There wasn't any uniform. Only the pennants on the lances seem to be identical in the same Chorągwi/Banner. But even this isn't sure.